The Volt is made with state-of-the-art safety features. General Motors Co., missing sales goals for the Chevrolet Volt plug-in hybrid, plans to halt production of the sedan for five weeks beginning later this month rather than discount the high-technology cars. GM will stop making Volts at its Detroit-Hamtramck assembly plant from March 19 until April 23, Chris Lee, a company spokesman, said in an e-mail March 2. The factory had ramped up to full-speed production Feb. 6 after the New Year's shutdown. While sales of the Volt in February more than tripled from a year earlier to 1,023, the rate is below what's needed to meet Chief Executive Officer Dan Akerson's goal of 45,000 deliveries in the U.S. this year. GM missed its target of 10,000 Volt sales last year, finishing 2011 with 7,671 deliveries. "This move is to keep proper inventory levels," Lee said in the e-mail. GM executives have said publicity surrounding a two- month federal investigation into the safety of the Volt following a fire publicly revealed in November had hurt the car's sales. 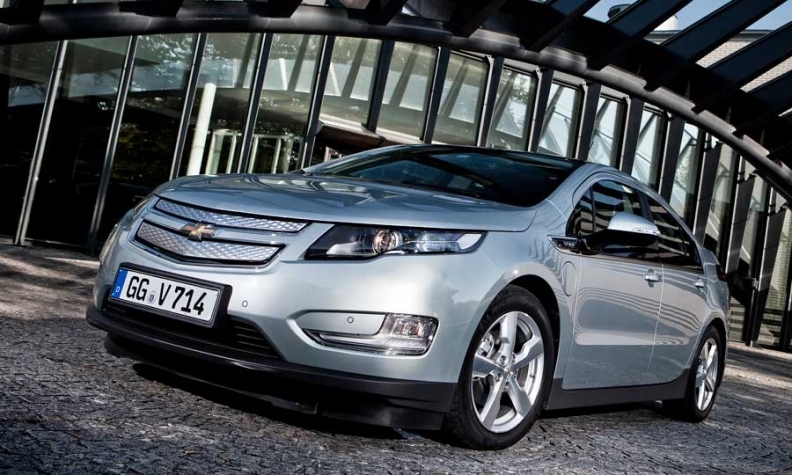 The National Highway Traffic Safety Administration said in January that the Volt poses no more fire risk than other cars. "Although we loaded the Volt with state-of-the-art safety features, we did not engineer the Volt to be a political punching bag," Akerson said during a Congressional hearing on Volt in January. "And that, sadly, is what the Volt has become." GM shares have gained 30 percent this year through March 2, after falling 45 percent in 2011. The company surpassed Toyota Motor Corp. as the world's largest automaker last year when it earned a record $9.19 billion. The U.S. Treasury Department sold 28 percent of GM in its November 2010 initial public offering and still holds 32 percent of the automaker's shares, acquired as part of the Obama administration's $50 billion bailout. The U.S. wants to sell for at least the $33 a share IPO price, people familiar with the matter have said. GM sold 1,626 Volts through the first two months of the year in the U.S. Detroit-based GM planned to make 60,000 Volts this year for worldwide distribution, with three-quarters of them earmarked for the U.S. market. Akerson promised in January that GM would "match production with demand." The model, rated by the U.S. Environmental Protection Agency as getting the equivalent of 94 miles (151 kilometers) per gallon of gasoline, starts at $39,195, excluding destination charges, and qualifies for a $7,500 U.S. tax credit. "The fact that GM is now facing an oversupply of Volts suggests that consumer demand is just not that strong for these vehicles," said Lacey Plache, chief economist for auto-research website Edmunds.com. "The price premium on the Volt just doesn't make economic sense for the average consumer when there are so many fuel-efficient gasoline-powered cars available, typically for thousands of dollars less," she said in an e-mail. News that GM planned to reduce Volt production resulted in further criticism about the vehicle. "Even as gas prices continue to climb, President Obama's attempt to manipulate the free market and force consumers into purchasing electric vehicles like the GM Volt has failed despite the use of taxpayer dollars to prop up production," U.S. Representative Darrell Issa, the California Republican chairman of the House Oversight and Government Reform Committee, said in a statement.